Events at Setley Pond: The Scale Section annually holds two steering competitions for the Richard Graham Trophy and the Solent Cup. Places are determined by the number of times a competitor touches buoys or other components of the course (with the lowest number of touches winning!). Where two competitors have the same number of “touches” the one achieving that score in the fastest time is favoured. Most competitions consist of two rounds with the competitors best round being counted. The competitions are light-hearted. The Club’s first Navy Day was held in 2008. 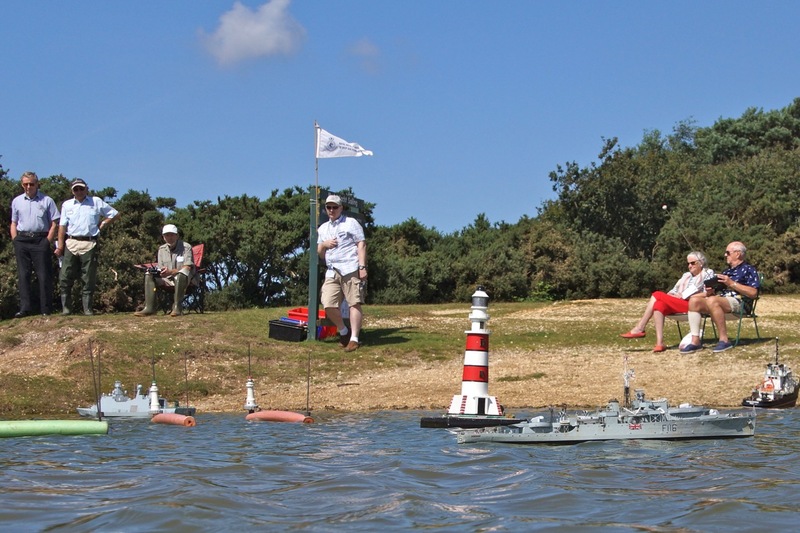 There is an onshore display of warship models and fleet manoeuvres on the pond! 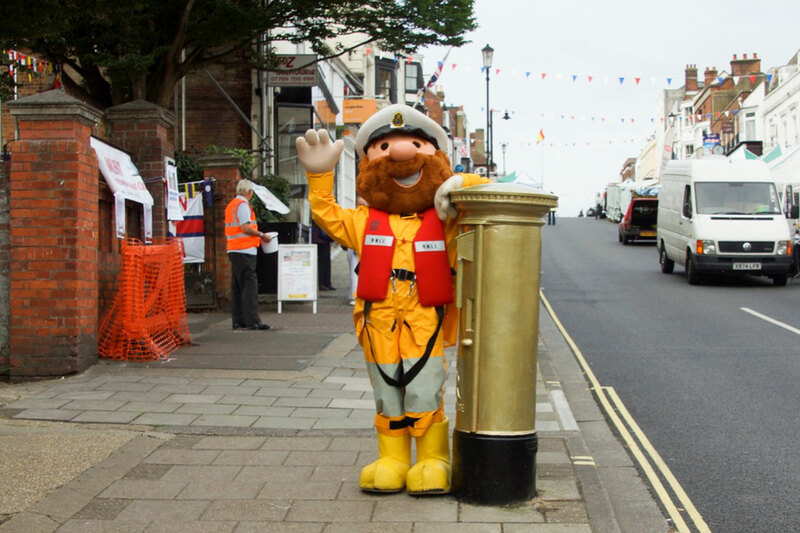 Supporting the RNLI: Over the years the SRCMBC supported various Lifeboat Days with Model Boat Displays, these included Calshot, Hythe Raft Race, and Lymington. Unfortunately many of these events are outdoors and the models are at the mercy of the weather. Calshot is particularly exposed and in 2009 strong winds overturned a table causing severe damage to some models. 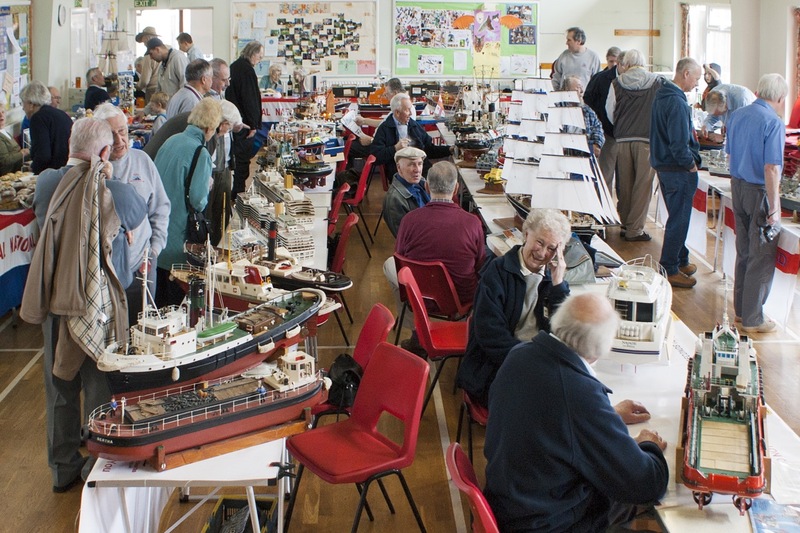 The Club continued to support Lymington Lifeboat Day where the models were displayed in the Lifeboat Station boat house. However participation ended in 2013 when the Boat House was required for other displays. Charity Exhibitions The Club still supports the RNLI and also other charities through two annual exhibitions. 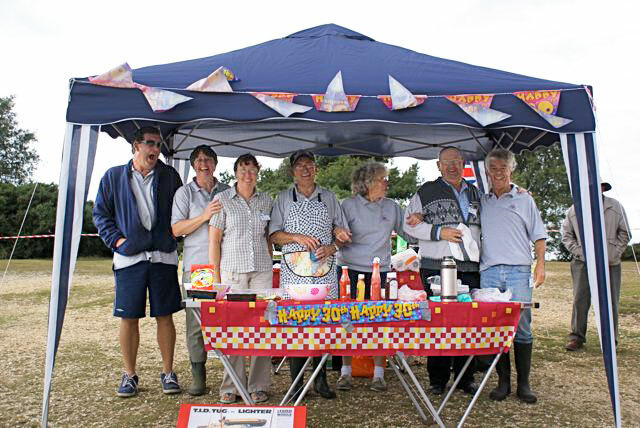 The Highcliffe Show, which started in 1988, is held during the spring and in many years has been jointly arranged with the Highcliffe Branch of the RNLI supporters. 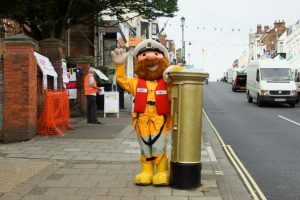 With the Club participation in fewer Lifeboat days it was decided to start holding an autumn exhibition, the first being held in the Masonic Hall, Lymington, in 2010. This Exhibition moved to All Saints’ Church Hall in Milford-on-Sea in 2013. The 2015 Milford Show was the most successful yet and, aided by sponsorship from Wightlink and HSBC, over £1000 was raised for charity. More information on some of the Charities supported by the Club can be found on our “Charities page“. Social Events: As well as raising funds for good causes, the annual Highcliffe Show and autumn Charity Exhibition serve as social occasions for Club members to meet. The Scale Section has an annual “Christmas Lunch”, and occasional BBQs have been held. Other Events: For many years the SRCMBC participated in the Romsey/Chandlers Ford “Model World” Exhibition and also in the Marwell Zoo Exhibition organised by Eastleigh and District Model Boat Club. 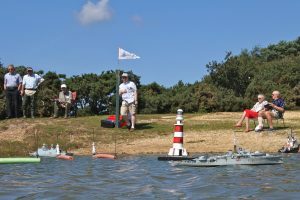 More recently, Club members David McNair-Taylor and David Reith have displayed their warship models as members of the Surface Warship Association. Venues have included the Historic Dockyard in Portsmouth and Bursledon Brickworks.